Welcome to Class 1H. We are a class of 26 children working with Mrs Hill, Mrs Cronin and Mrs Smith and we have settled in extremely well already. We have quickly learnt new class routines and are working hard together as a team to be the best we can! As the children are now Year 1 we are encouraging them to try and be a bit more independent and to think about what they can do themselves to prepare for the school day. Please could you help us by checking that we always have our correct uniform, drink bottle and reading bag, filled with our reading book, diary and LSCWC spelling list every day? We have been working extremely hard on our topic 'Marvellous Me', we have completed our portraits which are on display in the classroom. Please look at our Curriculum Overview Sheet on the website so you can have as much information as possible about upcoming topics...perhaps you might like to have a trip to the Barber Institute which is in October. Other news we have is that our class Saint is Saint Francis of Assasi. We have been learning all about his life and why he is such a special Saint for us. 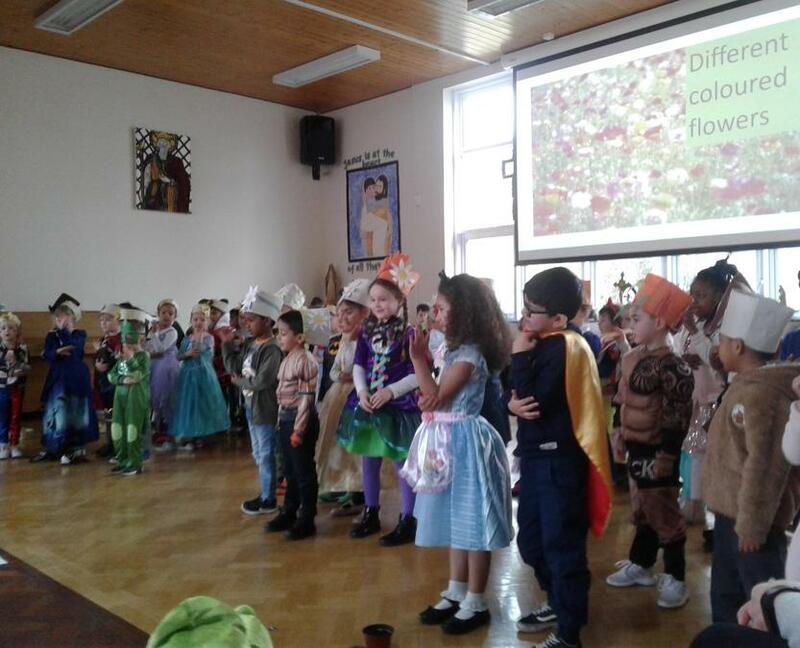 Our Prayer Leaders have been very grown up already, helping us to think about what our daily intentions are and demonstrating a good understanding of our Gospel Values, "Compassionate and Loving." We would like to extend a warm invitation to any parents, or family members, who could perhaps volunteer some time to help us in class. This would be very appreciated in terms of hearing our children read, walking us up to church when we have Mass, or to come on trips with us. Perhaps you love craft/art or have another skill that would be us full to our learning? If so, please do not hesitate to contact Mrs Hill. A huge thank you to those parents who are already volunteering! We look forward to sharing our special Year 1 journey with you.